You might arrive to our Luray Page county area for the first time or multiple times and not know of some of the special places here. You can download our SRO Gazette that has a list of attractions and restaurants too. 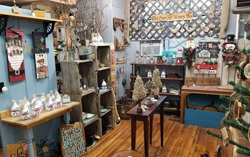 Luray Caverns is a given–but more is there–the Luray Valley Museum, the Toy Town Junction(trains & toys), the Antique Cars, the Fudge Kitchen and a new lunch spot-Heartpine Cafe with wine tastings at the Luray Valley Museum. Horseback riding and Mountains are perfect together and we have great stables for all levels of riding. Fort Valley Stables is just over the mountain from the Outfitters; Jordan Hollow Stables is close to Stanley; River Hill Stables lets you bring your own horses; trail rides are in the Shenandoah National Park too. River Hill Distillery for smooth Corn Whiskey and fruit wines. Watch for their sign on the way to the Outfitters. Also sold at the local ABC store by Food Lion. They also have for sale farm raised beef for that perfect cookout with a smooth whiskey! Hawksbill Brewery is our local ‘grow and brew’! Local hops and grains are used in many of their custom brews. For your Saturday morning doughnuts–you have to get there early–Fairview Store just outside of Luray–Fresh, homemade, yummmy! and just maybe country ham biscuits too! Check them out on Facebook. Wisteria Farm and Vineyard has the perfect wine for you; located just outside of Stanley. Check out Blue Ridge Wine and Whiskey for a loop tour of a few of the area’s wineries. Rope Courses & Zip Lines–The Rope Adventure Park for those over 48″ and under 48″ is at the Luray Caverns. Zip Lines are at Bear Mountain just out of Luray with Baby Bear course for 36″ and Bear for older ones. High, flying fun! Trackside Theater offers plays and events thru the year for youth and adults. Good family entertainment for all. Check for schedules. Get your “Bike on”–Spring bike races, August triathlons, Dec race. To race or to cheer on! Hiking in the Shenandoah National Park is year-round with over 500 miles of trails. There are beginner circle hikes, other trails to the many water falls and the Appalachian Trail goes on for miles. With the leaves down, the views are even better than ever. The food services close down after Thanksgiving so bring your drinks, food, camera and hiking boots! Switz-Mix Records: Have a lonesome turntable at home? Looking for the song of your youth? or Purple Rain? Switz-Mix Records is the new record store in Luray for old albums, vinyls and much more! Open weekends for now. Call 540-843-2522, 183 Blue Bell Ave Luray VA Check them out on Facebook. 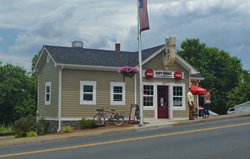 The Hawksbill Diner–Country Dining at its Best–from Lima Beans to hand-cut prime rib; Country Fried Steak & White Gravy; Pork chop fritters, pinto beans & homemade cornbread, etc etc and desserts and did I mention breakfast!! Food like your Southern Grandmother made! Want to get COOL? 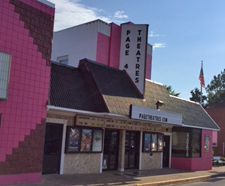 Head to The Page Theatre for top run movies at country prices and all that COOL Air!! New to Luray–Dunkin’ donuts and Baskin Robbins out by Walmart on 211 W. Stop in for your coffee & donuts! The perfect way to Crush Friday and take back those vacation days is to come out for a long weekend in the beautiful Page Valley. 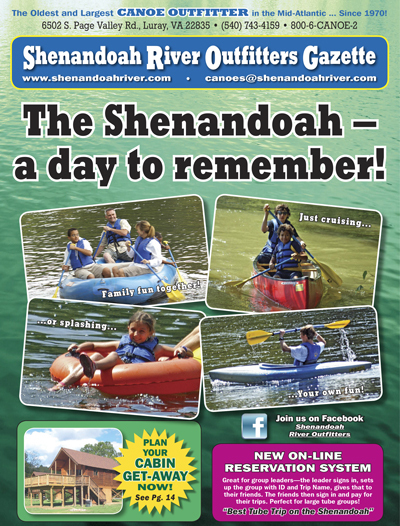 Plan a hike, a brew or wine, or just to relax on the beautiful Shenandoah River with us. Paddle or Float! For your winter fun–Massanutten resort offers skiing, snow tubing, etc and a water park. Bryce resort offers great skiing, tubing and more. Both are within an hour of SRO & cabins.